The Pens Hockey Show: Pens Get A Little Wild! Pens Get A Little Wild! Good old road games bring out the best in teams and the worst. The Pittsburgh Penguins are starting a long five game road trip in Minnesota to take on the Wild. It's a great time to be starting a long road trip as the Penguins are riding a four game winning streak and the players are having personal best numbers. To start, Marc-Andre Fleury has posted back to back shutouts, which is a first in his NHL career. The "Flower" has a career long shutout streak of 154:46 right now. Not only is the Penguins goaltender riding a successful streak, Evgeni Malkin added to his point streak Saturday night against the Buffalo Sabres. The total is now at ten games with a point for Malkin. As for our Captain, Sidney Crosby, he is the Penguins all time leading scoring against the Wild with 9 points. The NHL has also recognized the hard work of Penguins players as of late and in the month of October. Crosby was named the second star in the NHL for the month of October! To add to that, Fleury was named the NHL third star of the week. It's great to see the Penguins get recognized and I hope it continues to happen. As for the Penguins as a whole they have been on a roll and clicking on all wave lengths. The Penguins power play is ranked first in the NHL at 41.9%. They will have to get the power play on the ice tonight, but will face the Wild's fourth ranked NHL penalty kill. It should provide for an interesting battle of the special teams. The Penguins have also been improving their penalty kill, which started out horribly. The penalty kill is riding their own streak as they have killed 26 straight penalties. Tonight the Penguins will get a chance to improve on those numbers. 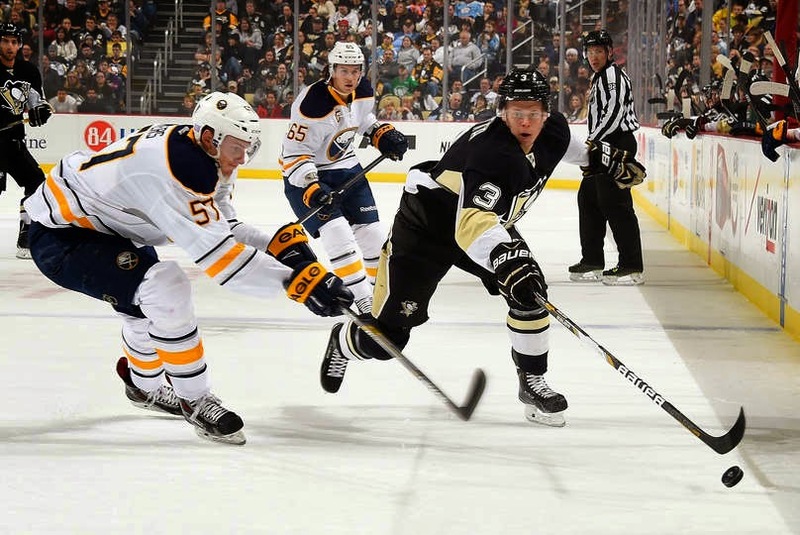 On the injury front, the Penguins will be without the services of Olli Maatta. He will miss his first game of the season as he is expected to have surgery on his neck to remove a tumor. Mike Johnston said that they will provide an update on Maatta within the next 24 hours. With Maatta out of the lineup, Robert Bortuzzo will fill in. Bortuzzo has recovered from his minor injury and is ready to prove himself. This will shake up the Penguins defense and hopefully they will adapt without any issues. All my thoughts go to Maatta to have a successful surgery and quick recovery. He is a great player at such a young age and will be missed in the lineup. 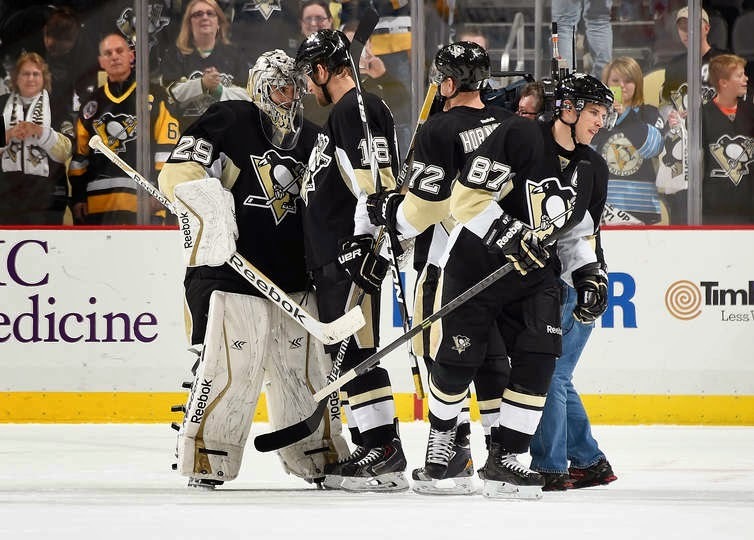 The Penguins have some adjustments to deal with, but is will make them stronger in the end. They need to stay focus and not let the Wild get them off their game. Lets Go Pens! 0:00- PENS EARN THE WIN 4-1 OVER THE WILD! THE PENS HAVE BEEN ON A ROLL AND TAKING IT TO THE NHL! GREAT WIN ONCE AGAIN! LETS GO PENS! 1:34- HORNQVIST SCORES AN EMPTY NETTER!!!! Sid flips up the puck to clear the puck and it bounces off a Wild player! Hornqvist gains control and puts one in the empty net! 4-1 Pens! 2:04- Empty net for the Wild. 2:34- The Pens make it 30 penalty kills in a row! 3:05- The Pens and Wild crash the net! Goc ends up batting out the puck and looks to cross the goal line. The refs wave it a no goal, but they say that goalie interference was called and the makes the play unreviewable. Ruling stands as a no goal. 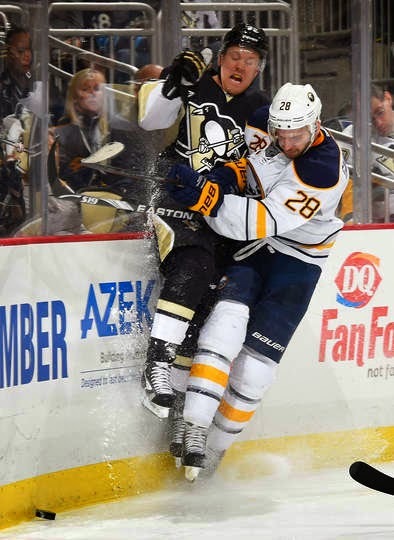 4:35- Ehrhoff heads to the sin bin for high sticking. The Wild get a huge PP chance! 9:06- Niederreiter Scores a shorthanded goal! The Pens are caught up ice and Niederreiter gets a breakaway. He just sneaks a backhanded shot pass the glove of Greiss. 3-1 Pens. 10:35- DING! DING! Despres and Brodziak drop the gloves and Despres ends up dragging him down in the end! The Pens end up with a PP! 11:44- The puck is iced by the Pens, which forces Mike Johnston to call a timeout. 11:55- The Pens kill off their 29th straight penalty. 13:55- The Pens will be shorthanded again as Downie is caught for interference. The Wild with another PP opportunity. 16:34- Sid makes a shot pass to Tanger and he gets a piece of it, but Kuemper makes the pad save. 18:26- The Pens PP is killed off by the Wild. 20:00- Third period time! The Pens have a PP for 1:31 and need to take advantage! Lets Go Pens! 0:00- Second period ends and the Pens have extend their lead to 3-0 over the Wild! 1:36- The Pens have now killed 20 straight penalties. 3:36- Sutter is called for holding and the Wild get a PP chance. 4:27- KUNI SCORES ON THE PP!!! Geno fakes a shot and ends up slapping one to the net! Kuni redirects his shot right past Kuemper! 3-0 Pens! 4:39- Scandella gets a delay of game penalty for shooting the puck over the glass in the defensive zone. The Pens finally get a PP chance! 5:22- The Pens are taking advantage of the Wild's spread out defense in the neutral zone. 8:53- The Wild are guilty of many mistakes such as too many passes. The Pens are trying to stretch the Wild's defense in the neutral zone, which is a different look at things then in the first period. 12:16- The Pens kill it! 14:16- Comeau is sent to the box for interference and the Wild will get the first PP of the game. 15:53- Martin and Downie get a 2 on 1 chance! Martin passes over to Downie, but as he is about to pull the trigger the puck is whacked away from him. 17:52- SUTTER SCORES!! The Pens get a chance on the rush! Sutter doesn't let the chance slip and snipes a shot past Kuemper! 2-0 Pens! 20:00- Second period is underway! The Pens need to pick up the speed and lay it on the Wild! Lets Go Pens! 0:00- First period ends and the Pens have the lead 1-0 over the Wild! 0:53- SPALING SCORES! The Pens withstand a shooting spree from the Wild! Downie slides into the Wild's zone and passes up to Spaling! Spaling waits for Kuemper to go down and puts the puck up high! 1-0 Pens! 2:00- The Wild have woken up as Greiss has to make a point blank save at the side of the net. The Pens finally clear the puck. 2:56- Greiss bobbles the puck after the Wild shoot from the point. He dives out to cover the puck and avoid any danger. 4:32- Neither team is taking a offensive stance and are playing a very careful hockey game. It doesn't make for an exciting game or that interesting of one. 8:04- This is a battle of defenses by both teams. Kuni gets a snap shot off, but it's deflected wide of the net. 10:10- There isn't much flow to this game and the building is super quiet. Not much excitement to this game so far. 12:45- The Wild were able to get some offensive zone time, but the Pens are controlling the puck possession. 15:55- The Pens are doing a great job of keeping the puck in the Wild's offensive zone to start this game. 20:00- The puck has dropped in the enemy territory of Minnesota! The Pens need to play with speed and make smart defensive plays! Lets Go Pens! The Penguins Seek Revenge in Carolina! Time to Burn the Leafs! The Penguins are at TD Garden! Time to Rake the Leafs! The Penguins are in Buffalo! The Penguins Jet off to Winnipeg! Time to Rid Pittsburgh of Some Sabres!